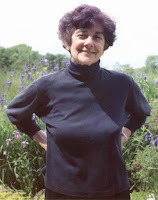 Frances Fox Piven: Obama Has Done Good things "Under the Radar"
Frances Fox Piven is a prominent U.S. sociologist, writer and socialist activist and is an honorary chair of the Democratic Socialists of America. Fox Piven was a DSAer since the organization's founding in 1982. By 1985 she was listed as a member of the Feminist Commission of the organization. In 1994 she was listed amongst over 100 activists who were builders of Barack Obama's New Party. Piven is also listed as an endorser of Progressives for Obama. But much earlier, at the Second Annual Socialist Scholars Conference , held September 9-11, 1966 at the Hotel Commodore, New York, the husband/wife team, Richard Cloward and Frances Fox Piven unveiled their strategy to bring about the agenda they so longed for. This strategy is now known as the Cloward-Piven Strategy. In a nutshell, the strategy is designed to crash the U.S. economy and bring on socialist revolution by deliberately overloading state welfare rolls to the point of bankruptcy. You can read an in-depth discussion of this anti-American strategy in my June 2011 post, here. As I pointed out in September this year, Piven has advocated the use of violence as a political tool as late as November, 2004 when she spoke at the University of Wisconsin, stating: "Unless you have good reason for breaking the window [i.e. using violence], probably you shouldn't do that. Unless it's you know, a big part of your strategy." On September 20, 2010, she spoke alongside Tariq Ali at the booklaunch for his new book entitled "The Obama Syndrome: Surrender at Home, War Abroad". Ali is a board member of Movement for a Democratic Society which has close ties with the newly revived Students for a Democratic Society. The organization seeks to create a more egalitarian society in both the political and economic spheres. The booklaunch was organized and hosted by the Brecht Forum. A short excerpt from Piven's comments at the book launch is below. Obama has an ally in the form of the radical, violence-advocating Frances Fox Piven. She made it clear at the September 20 event that she believes Obama has done many good things, but that many of these things have been done "under the radar". Without skipping a beat, acknowledges that the stimulus bill was redistributive. Most noteworthy however, is her ominous comment that the President "has made appointments; usually below the radar screen to the Federal bureaucracy". Piven takes heart at what she refers to as the Obama Administration's restaffing of Federal bureaucracy. Perhaps Piven is referring to Socialist heroes elected to the Federal bureaucracy such as former STORM leader Van Jones, Netroots Nation-linked Cass Sunstein, and former Congressional Progressive Caucus member, Hilda Solis. The Brecht Forum educates, and spreads, Marxism. Which is also worth looking in to. Good reporting, Trevor. Keep up the great work and thank you....thank you! !.....for the work you're doing. Actually, I think these people were appointed (under the radar) not elected. It used to be a crime to conspire to overtyhrow the government. The House Committee on Unamerican Activities needs to be reinstated. If the Founders could come back to see what has happened to their country, they would hold some tar and feather parties and go get a D-8 Cat and push the whole stinkin' sordid mess into the ocean and start over. I would suggest a special prosecutor be appointed to discover what went on under the radar. I for one would love to see some of these un-American A-holes perp-walked on the evening news and here what they have to say under oath. Glenn's been warning us for ages that Obama would use an "emergency" guise for his deceptive executive order legislation. BOO!! Special Prosecutor sounds great to me!